NMI is driving transformation in the payment industry through the power of unified commerce enablement. 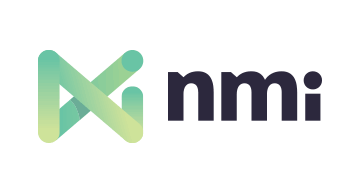 By unifying every point of payment engagement to deliver one view of the customer, NMI is enabling thousands of ISOs, fintech innovators and technologists to finally break free from today’s payment crunch and unleash new sources of value to achieve disruptive results. Processing more than $45 billion in payments a year, NMI is the driving force behind more than 1,000 technology partners and 110,000 merchants across retail, transportation, hospitality, medical, non-profit, parking, and vending verticals who are shifting to a new unified commerce strategy to put their business first, gain new value and deliver a superior merchant and consumer experiences. For more information, please visit nmi.com or follow us on Twitter, LinkedIn, Instagram and Facebook.